Evan Kovac, MD, Assistant Professor of Urology, and a specialist in the treatment of cancers of the urinary tract, joined the faculty of Montefiore and The Albert Einstein College of Medicine in September 2016. 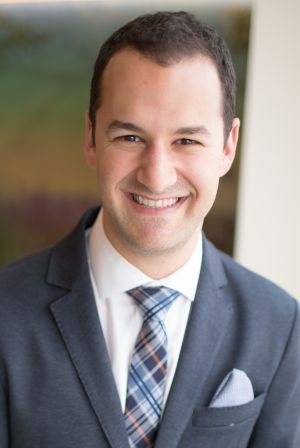 Dr. Kovac received his undergraduate and medical degrees from McGill University in Montreal, Canada where he also completed his Urology residency training. Prior to joining Montefiore, Dr. Kovac served as a fellow in Urologic Oncology at The Cleveland Clinic. He has extensive experience in population health as it applies to urologic malignancies. Dr. Kovac and his colleagues in the Department of Epidemiology and Biostatistics are embarking on a study of prostate cancer through a collaboration with the faculty of University College Hospital, Ibadan, Nigeria. African-American men are disproportionately affected by high-risk prostate cancer for reasons that remain unknown at this time. Studies like the ones being conducted by Dr. Kovac and his colleagues may lead to a better understanding of this phenomenon as well as to improved methods of disease detection and treatment.